Worried about youtr smartphone getting wet at the pool or beach? 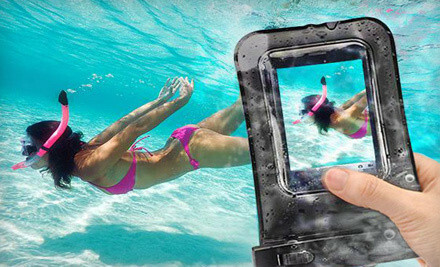 Check out this awesome Aqua Skin Universal Underwater Smartphone Case (Waterproof at depths of up to 30 feet). Today it’s just $15 and includes FREE Shipping! I really could use one of these to protect my phone this summer. It would also be great for someone who works outdoors in the rain. See site HERE for full details.